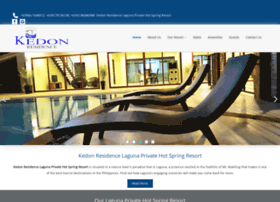 Kedon Residence Laguna Hot Spring Resort is situated in a nature lover's paradise that is Laguna, a province nestled in the foothills of Mt. Makiling that makes it one of the best tourist destinations in the Philippines. Find out how Laguna's engaging sceneries will make you come back for more.